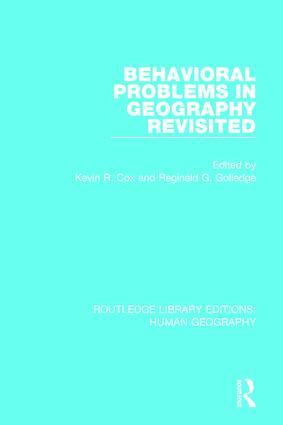 This collection of papers, originally published in 1981, reviews and evaluates past and possible future advances in a field of central importance to human geography: behavioral geography. The book includes critical studies which show how the approach has contributed substantially to work within four areas of amjor application in behavioral geography: urban travel behavior, environmental cognition, residential mobility and spatial diffusion. The final section of the book focuses on the shortcomings of the behavioral approach and considers the alternative modes of analysis available.